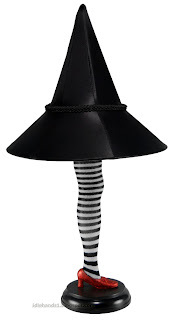 Idle Hands: Wizard of Oz Wicked Witch of the East ...Leg Lamp?! 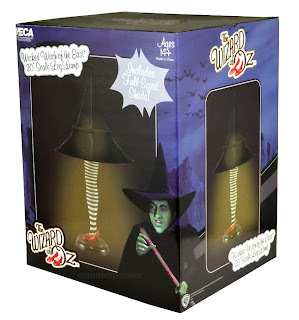 Wizard of Oz Wicked Witch of the East ...Leg Lamp?! The Wicked Witch of the East‘s leg looks just as it did sticking out from under Dorothy‘s house, right down to the ruby slipper. Comes with a full-size shade shaped like a witch’s hat! Both the leg base and the lamp light up, adding a magical glow to any room. Including the shade, it stands 20″ high x 11″ wide and has a 5-foot cord. Main light uses one 40-watt bulb (not included) and leg light uses one 5-watt type C bulb (included).